With Idle Session Management inside NAV, you can specify Idle Client Timeout, Allow Login Time, Total Sessions for each user, and allocate Concurrent Client Access Licenses (CCALs) to group of users. CCALs are based on the number of users accessing NAV simultaneously. And users have various requirements for NAV time usage. For example, Sales Order Processors always open NAV to enter sales every 10 minutes, whereas Purchasers sometimes access NAV for processing when they receive goods or invoices from vendors. Common practice that Purchasers keep NAV opening although they don't use it. As a result, CCALs are lost. Through Idle Session Management, you can set idle timeout to individual user such as 20 minutes for Purchasers, and 1 hour for Sales Order Processors. NAV will be closed automatically to release CCALs for other users. Another usual situation when all CCALs are consuming, System Administrator cannot login NAV to stop some Idle Client Sessions. 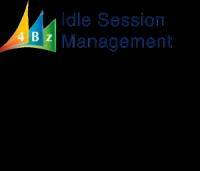 Via Idle Session Management, you can prevent it by assigning one CCAL for group of System Administrator and the rest for other groups. Specify Idle Client Timeout for individual user (apply to Windows Client only). Set Allow Login Time per user (apply to Windows, Web and SharePoint Clients). Define Total Sessions for each user (apply to Windows, Web and SharePoint Clients). Allocate CCALs to group of users (apply to Windows, Web and SharePoint Clients). Stop a Session (apply to Windows, Web and SharePoint Clients). Support NAV 2016 to NAV 2017 which has Event Subscriber and native System.IO library. For NAV 2013 to NAV 2015, please test if it is acceptable to you. Order for First Year: 1080 USD/Year + Transfer Fee 5.5%. Renew yearly, from Second Year: 180 USD/Year + Transfer Fee 5.5%.